Sherlock Fitness: You can take a horse to water, but you can't make it drink! You can take a horse to water, but you can't make it drink! The same is true of people, you can take them to the gym but it does not necessarily mean they will work hard, and you can give them all the diet advice they need but it does not mean that they will follow it. Whilst it is nice to see people who are dedicated and following your plan and training hard with you in the gym, some people can not find the extrinsic motivation to reach the goals that you want them to reach and know they can. Sometimes these people need to look more within themselves to find the intrinsic motivation to push them towards what it is they want to achieve. Personally, I feel that I always need to have a reason to train, and struggle to find the extrinsic motivation to train simply for trainings sake. Whether this be an event such as a half marathon, 10km, obstacle race (such as Total Warrior) or even a holiday or photoshoot. There needs to be a goal at the end of the training or an achievement of some sort. This is completely normal (well, I hope it is!) And my way of dealing with it is to arrange events around 6-12 weeks apart from each other allowing me to stay on track and staying motivated. I also find that planning weeks off plan every few months (ie Xmas and summer holidays) helps to stay on track for the rest of the time. As in those off plan weeks I become sick of the sight of food junk and makes me keen to get back on with a healthy diet! 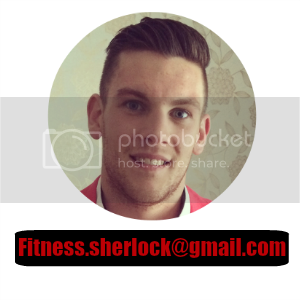 Summer is fast approaching and I know there are many of you who like to get in shape for your summer holidays and get that beach body, so stick at what you've been working hard for all winter and whilst you're away do not be too scared to go off your diet- you have another 52 weeks to get your summer body back afterwards! telephonecodes Consumers without any a text message mobile phone could strategy a go-between to convert vocal communications to the written text and vice versa via prefixing the writing cell phone consumers amount by 18002.